Writing your blog posts is just a small part of growing your blog. The rest is getting readers to your blog…and that's not always as easy. While there are some tried and true means of growing your blog, there are infinite ways to get your message in front of new people. Here are just a few to get started with! Tweet your post: Tweeting posts should be a regular thing. But one thing bloggers tend to do is just Tweet, “New post! [Link]” Truth be told, I NEVER click on those links. Write a snappy tweet with a link to your post. It could be your post title, but something that you know your Tweeps will click on. And change it up so you can tweet your post more than once. Facebook: Don't forget your readers on Facebook! Be sure to include an image on your post and test different times of days to see when your readers click on your links. Pinterest: A powerful traffic driver, Pimp your images for Pinterest, and be sure to include this in you promotional strategy. You may have to test a few things to see what works best for your blog.. including adding text, pinning close up shots, whatever it is your followers best respond to. Stumbleupon: This is an oldie but a goodie. It doesn't take long to “Stumble” posts, but you never know which posts might get “Stumbled” so you wouldn't want a chance to miss out on additional traffic boosts. It's a really great way to get exposure beyond your regular circles. Instagram: While there is no real way to link directly to your posts (yet) in Instagram, it's always great to let your followers there know you have new content on your blog. Be sure to let them know that your ‘gram is for a new post! Include a “Follow me on Bloglovin” link in all of your posts: Now that Google reader is going away, more and more people are using Bloglovin. Bloglovin actually drives traffic the more followers you have, so make sure you give your readers every chance to follow you on that site so they never miss a post. Do a Twitter chat around a blog topic: Tweeting your posts might not be enough… perhaps another way to promote your content (and your Twitter presence) is to host a Twitter chat and use a hashtag. Here you would write a post on your blog, invite a few blog friends to participate and have a conversation on Twitter. 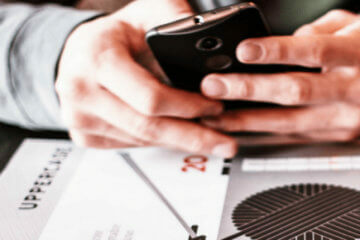 Use Google Keywords to promote via SEO: One of the best ways to promote content is to use SEO. It is still the number one traffic driver for all of my websites, and should not be overlooked. Google has a nifty Keyword Tool which allows you to search keywords and see how many people are looking for particular topics, and how competitive the keywords are. Look in your Google Analytics for to see how people find your blog (and expand on that): In Google Analyitcs you can find under “Site Content–>Search Engine Optimization–>Queries” What keywords people are using to find your site. Link to other posts within your site to boost SEO: Links within your site do two things, they build authority for your posts, and they keep your readers on your website. Erika Miller noted we shouldn't overdo it with the links in our post, so be strategic and try not to get carried away. Put relevant keywords in your image “Alt” Tags: Don't forget your images can be searched too! Guest Post: A lot of people complain that guest posts don't drive traffic. But maybe if you play it right, driving traffic could be secondary to your SEO goals. Use your guest post opportunities as a chance to link to specific posts within your site to help boost the SEO results and that will get you more traffic. Email Newsletter to your readers: It's never to early to start building your newsletter. It may take time, but after all blogging is a long haul game. Email your readers once a week, or once a month to let them know about what's going on with your blog. It's the perfect time to promote specific content. 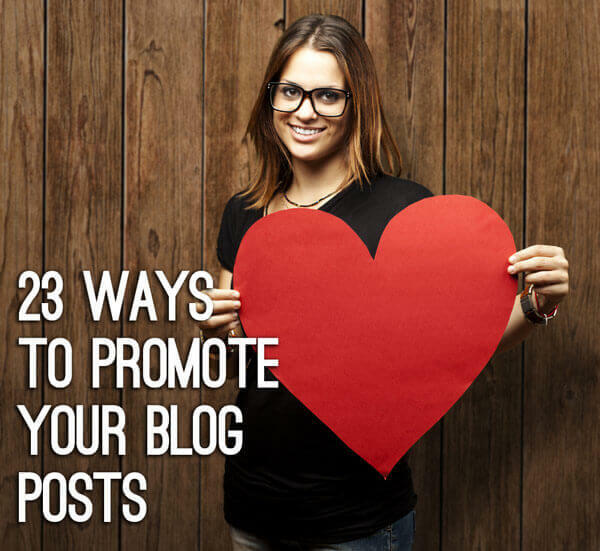 Ask your blog friends to promote a post: If you have a post you'd like to promote, and you have a great relationship with your blog friends, asking them once in a while to promote a post for you is no big deal. Pitch your post to other blogs: Say you write a post that would be perfect for another blog, it would be a good time to let that other blogger know about your post. Who knows, maybe you'll get a link! Pitch your post to the press: Say you've done an independent study, maybe you're an expert in budget fashion or did something newsworthy, or have the perfect post for a website, developing relationships with the press would be a great way to get added exposure on news sites in addition to blogs. Create a free download to share with your readers: Whether it be a calendar, desktop or even a template, free downloads are a great way to get readers to download, keep, and possibly share with others. Everyone likes a freebie! Write content that solves a problem: Do you have a solution to a problem everyone has? Getting rid of muffin top? If you solve a problem, it will help your readers, AND if your readers have friends with the same problem, they'll probably share your blog post too. Write a catchy headline: I cannot say enough about how important it is to have a straightforward, yet catchy post title. This is often times the first impression people get of your website whether it be through search or through social media. You only have fractions of a second to catch their eye! Write a controversial post: Maybe you don't agree with what's going on, maybe you're on the fence, maybe you have a juicy piece of information to share with your readers. A controversial post will get people talking. Feature another blogger: If you're new, maybe you can do a feature swap with a blog friend with similar traffic, but featuring other bloggers helps build community along with you might get social media promotion from the other blogger. Word of advice, the other blogger may not share, so don't expect or demand them to do so, as you may end up burning a bridge. 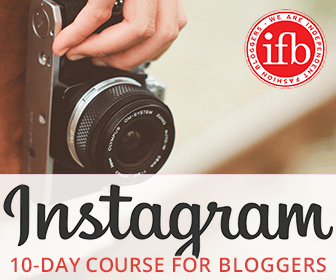 Start a blog meme: Whether it be something like the IFB Project, or the various ones out there, bloggers love to engage with others by sharing content. If you provide a service to share their content, you can always ask that they share your content as well. Create an infographic, and pitch it to other blogs: Infographics… they are fun, and shareable, and most of all pitchable. If you think of a clever way to make information into a graphic, it could really lead to some amazing promotion for your blog! I must confess that I don’t use half of the things mentioned above, so this article is very helpful. I’ve been trying to find a way to increase my blog traffic and now I know where to start. I also wrote my first guest post and now I’m waiting for it to get published. Thanks for sharing, love this! Hello there! I’m happy to drop by in your website. Your presentation in this post has been in fact pleasant and very elegant. I hope everyone will be aware of your website and your incredible ideas. Thanks a lot! I agree with you Filipa, this post was so useful and had great ideas. I’ll be using some of them too. YES! This was more than helpful. Definitely needing to get back to the basics. Very helpful. I definitely need to focus on some of these suggestions. I try and do all of this and a lot of it is working. I’m just having trouble building a following on Twitter. All of the other platforms its slow and steady, but with twitter it seems I can’t get ahead. Any ideas? I agree with you, Quinn. I am finding Twitter, but also FB the hardest to grow a following on. My instagram is very strong, but these two are lacking behind. Would love some tips on how to increase FB and Twitter followers. Just re Twitter, I find that I get a few retweets if I include an image in the Tweet. I used to be able to automatically Tweet new WordPress posts with the featured image via IFTTT but for some reason it stopped working so now I manually Tweet my posts and add an image to the Tweet. This way the post appears both in your Twitter stream and with a link in your Twitter images (2 for 1). And I really can’t understand how should I use key words? Thank you for sharing. This is very helpful! Loved the ideas on this post, definitely pinning it so I can reference back to it when needed. Great tips! Bloglovin’, Pinterst and Guest posts are the best ways to drive traffic at this moment, hope that Instagram will be helpful in a future. This is such a great list, thank you for sharing! By the way – I checked your blog and really like it, especially the layout. Garage mag post is great 🙂 Do reckon with me as with your new reader and follower ! This was really helpful. I never considered using Google+ since no one really uses it but it if helps my SEO then I’m all for it! Twitter is a tough one. I don’t get many clicks from my tweets, but I always feel weird tweeting about a post more than once. You don’t want to overly self-promote. Great tips all around. Thanks for sharing. Great tips in this article. I’m always looking for new ways to drive traffic and I have some new ideas now! some really great ideas in there! I think there are a few ways to build Twitter following. I do a lot of retweeting links around my chosen subjects so people will often retweet those. That way you get seen as an authority. (Don’t just click the RT button though – precede with a few of your own summarising words or thoughts. Make sure you engage with followers, it needs to be a two-way thing, not just you blasting out updates. I tweet each blog as soon as it’s posted and then a few hours later for my US readers. and I change the preceding blurb to make it sound more interesting. Sometimes I will add an image to the tweet. I think that makes it more retweetable. Google Analytics I find such a ballache! I tried to do the Search Engine Optimization–>Queries thing but I got a page saying ‘This report requires Webmaster Tools to be enabled’, and when I followed the instructions, I got a box saying ‘success’, but every time I go to the Queries page, I’m still told ‘This report requires Webmaster Tools to be enabled’. I give up! Re tagging images, I’m surprised at how many websites, big blogs and PRs don’t label their images in an SEO-friendly way. I wonder why not? These are all FANTASTIC tips! Thanks so much for sharing! Great tips, Jennine, thank you. I’m an author and blog about books and writing (thebookorme.blogspot.com.au) but so many of these tips are transferable and relevant – thanks for sharing. I do a few of these, I’m still not doing that great! Fail on my behalf! These ways are legit and working, I use most of them and usually get 3000+ visitors per day. 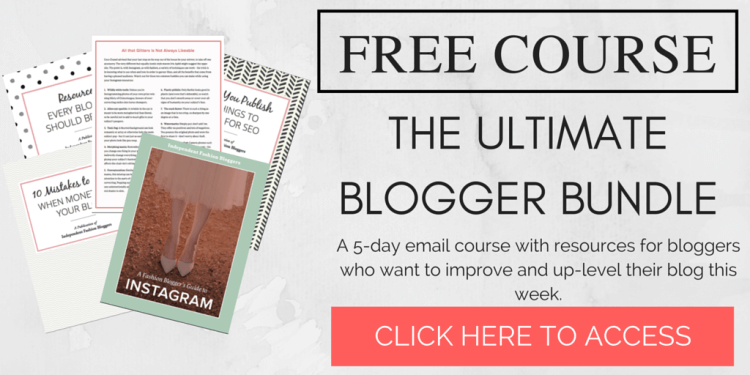 I’m new to blogging so will definitely be trying out these tips to increase my audience! Great post, thank you! Bad at organizing time to write for your blog? Here’s what NOT to do! Good tips, might have to take some of these on board… Currently making a pinterest account!! I’ve been trying to find a way to increase my blog traffic and now I know where to start. I must confess that I don’t use half of the things mentioned above, but now I’ll start using them. Also, I’m thinking of inviting some guest bloggers on my blog. Thanks for writing this amazing and helpfull post! Thank you so much for your great tips. I am looking forward to that. I have so many ideas to post about. It’s practically endless! But I want to change it up every now and then, but don’t want the initial audience to think the page is steering away from it’s initial intent. Does that make sense? If you visit CatholicBliss.com you can see a little where I’m giving recipes, then recommendations for books, but still throwing in information about current events and Catholicism… while staying fun! I think guest post is the best way to get powerful backlinks to your site. As powerful your backlink will as Google will give you the better place in SERP. I will recommend guest post. hi there!, these tips are really helpful, i just started my blog few days ago and hoping these tips help me grow. Thanks for sharing, always good to find out new ways to share the site and build traffic. Image alt tags. Thank you. Check me out! I’m the the interwebs! I like the infographic idea. Really good aggregation of content. if we follow all tricks then 100% we will get more treaffic. 1) My blog (Ivy League Opinions) focuses on my opinions on the news from a “Ivy League perspective.” Because the blog focuses on my opinions, none of the posts solve a problem, they simply share interesting content. Do all successful blogs need to be geared towards problem-solving? 2) Because my blog has the occasional personal insight, should I just use my own Facebook/Twitter or should I make ones for the blog? I agree, very nice and useful tips but I think they are for beginners. There is a lot of such similar infomation, and nothing new. It takes too much time to find the info able to surprise. Great post, thanks for sharing, i will follow all ways to increase traffic for my blogs. Thanks again. Great list of tips to get traffic, Jennine! With relation to Twitter, you might want to use some interesting websites like Triberr or Just Retweet, that will help you get more ReTweets and Shares. It was nice to have these simple ways for promoting posts. It brings more number traffic to our blog. I loved your post. I just started blogging and this post is really worth reading! Excellent post, precise and well explained! This is a great list. I will be glad I pinned this in the future! Thank you. You really pointed all the basic fact in getting traffic and making our blog known to the world but the problem is that these days is too hard to find your fellow blogger to help you promote a post in your blog some of them will give you their price list when you ask them for any little help, i have experienced it more often. thankyou for this, enjoy my blog!! Really like this post. It really helps a lot. Increasing traffic is the first wish of every blogger. Every blogger try its own ways to increase traffic. ideas shared in this article are very useful you must use them. or try some more from here. great list. i understand that fb sharing is the best way, but sometimes im shy that my parents or relatives would see my blog hahaha oh well. so i share it on google plus instead. not very great at exposure but at least im doing something! Fantastic tips! (And nice information design for the article.) I’m new at this blogging thing, so it really helps to know where to go and what’s in it for the long haul. Increasing traffic is the first wish of every blogger. Every blogger try its own ways to increase traffic. ideas shared in this article are very useful, i will surely these ways to my blogger friends also who are looking for method to increase their blog traffic. A blog about the many different unique ideas, problems and other things we face in our lives. I had finally decided to unleash all these ideas I have bottled up in my head (on the internet), I am tired of saying “I’m bored” and “I’ve got nothing to do”, I want to know all the interesting things of the world. So through this blog, I hope to not only share interesting ideas, but to also learn the concepts of others as well. 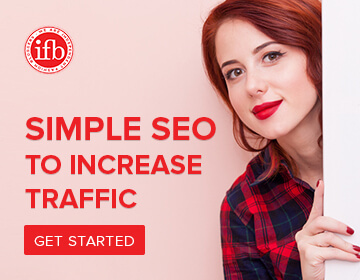 Ya, these are really very best way to get generic and healthy traffic to your blog. I am working as SEO specialist and according to you these are the ever best way to get right traffic. Thanks for your valuable share with us!!! Please check Samsung Galaxy S4 review!! Everything about AutoCAD design, tutorials, tips & tricks. Your concept is very much innovative and impressive as well.I love reading this article, I used all of this Social Media site to promote my blog..
Great article, thanks for all the helpful advice. I guess I need to start implementing some of the tactics above. I love writing but when it comes to promoting. I feel lost at times. Thanks Jennine for sharing this content. I find that social media and SEO is a great combo for promoting my blog posts. I like the way you broke down your point. Easy to understand. Thanks for this article 🙂 I’d never heard of StumbleUpon before and am now all signed up – cheers. Thank you for this post. Very complete and in dept. Nothing like a good promotion strategy. We need it if we intend to grow our blog to a certain extent. And like you said, you have to try different ways and styles to see which ones meet your needs better. While some might drive immediate traffic, some will increase SEO while others will promote your brand awareness which are all necessary. I really like the advice on tweeting the same post multiple ways. On that note, is it a good idea to make a twitter account solely for my blog or should I just incorporate it in my personal twitter? Also I never thought of making an infographic before. I definitely like that idea though. Any advice on how to get started? And most of all, thanks for a great post. Very helpful tips. Thanks for sharing. I am not into business blogging but would definitely like to increase my readership. I’m in marketing so I’m SUPER embarassed I haven’t been putting tags on my posts. I just went and updated so many! Good advice for established bloggers and people starting out. Great post! It should be noted that the “competition” in the Google AdWords keyword tool is actually the competition between advertisers bidding on ads for that keyword and not actually the competition for ranking content. We are just starting out and you provided some really great and original information. Thanks! This was a very helpful post. I know that I normally tweet out my post once it goes live but fail to usually change the tweet up and tweet it multiple times. This is one change that I will make immediately since I am going to start scheduling my tweets in advance. I am pretty good about promoting my post on other social networks. I have found that Youtube has done wonders for my site traffic, it is actually one of my top traffic sources. I think a lot of people really have slept on how youtube can help get your blog out there and continuously promote your site. I have found that making youtube videos and corresponding post have really helped me take my blog to the next level. Thank you again for all the tips I will put some of the ones that I am not currently doing to good use. This is really great and to the point. Thanks. I’ve just started my blog and a part of me is excited to meet and talk to people with the same interests and passions all over the world but thre’s another part of me that is nervous of course. This is an informative list. It is easy to stumble something, you say. I’ve never done that. Isn’t this just a matter of clicking their site’s button at the end of an article? Is that what you mean, adding the stumble upon option, so readers can “stumble” it? Or, is this a matter of adding a new post to the SU site? I’ve just started a new blog. And this is very helpfull, thankyou! Excellent article on how to increase traffic to a website. Lot of wonderful ideas are given by the author. Here are some of my blogs. Please read these blogs and offer your comments.. Thanks for sharing. These are really good tips that I haven’t thought about before. I’m new to blogging (been doing it for about a month now). The most important two things about this post is engagement and consistancy. Without the two there’s no drive to keep the blog going. Taking a step back it’s important to set the blogs objectives, goals & KPI’s so that it can be easier to assign your content target audience. HI there. Following tips like this I’ve created the project http://www.hubgratis.com/. There you can promote your blog/site. Thank for compiling this list, great stuff! I appreciate the majority of steps are tanks I can actually implement. Again, many thanks. Will defiantly be using some of these tips :)! What do you say to the blogger who has done all these but is seeing very little results, and is getting frustrated? Great ideas for my first blog! I’m not looking to get big, just would like someone to actually read what I’m writing. Hope this helps and thanks!! Am a newbie to this world of blogging (though I have been blogging for a while), I never looked at it with a keen eye to drive traffic. I was happy just for the blog to have one single reader. . . me. 🙂 However, moving on, I wish that people visit my site, and read what I have to say about the world. I hope to make differences to the society around me, in my own little way. I am a new blogger and could not find better ways than these!. Thanks . I’m really struggling with trying to promote and update all of my social media accounts for both my photography and shop, I schedule certain tasks for certain days, but it feels like I’m still getting minimal done 🙁 Should I just focus on 2 or so social media accounts for promoting? Would that be more effective? Really good post. i am learning from you again. Thank you! Great, thanks so much for the tips! WOW…all you said was true…thanks. Such cool tips! I’ve already tried one out this morning. I usually do quite a few of them, but I needed to update a couple of the ways that I was promoting my post. Definitely like the tweet information! Pinned so I wouldn’t lose it…. Great tips.. I gonna surely apply these tips on my blog : http://pretoproblogger.blogspot.com…But How did you left the most used technique so called commenting-on-other-blogs?? Anyways great site..!! Thanks for these very helpful tips. I have just started and I hope to incorporate these ideas in my blogging experience! I am trying to implement these ideas into my blogging. It’s not easy though. A blog dedicated for Android Applications and Games. Also include PC Games, Application, and Utilities. I just launched my Mommy blog in late March and am learning as I go. I really learned allot from reading your blog post also, thank you! Thanx for sujjesting this helpful thing,. and i am also waiting for traffic on website http://lifehealthandmoney.blogspot.com please have a look on my website wether it is good or not.. sujjest me some tips feel free..
i m posting mainly natural health and beauty tips for women and girls. Very useful post! Will definitely use this article as my guide starting today! Thank you! I Just started blogging so for me it was very helpful Thanks!! I’m looking for ways to increase traffic flow at my blog and “stumbed” onto this website by luck. Thanks for the information shared here. I will definitely check the featured websites noted here in the future. I’d like to add a few ways to publicize: Post a link to your blog post (with a photo – always add photos when you can to get them opened and shared more) on your LinkedIn profile as an update. Then, add your blog post to a LinkedIn discussion group for input from readers, and traffic. I’ve found that LinkedIn is a top source of traffic for my blog at Artsy Shark, and that those readers tend to stay on the site longer. Thank you Jannie … & Guys check out this cool website … Earn Money Easy.!! This article is really useful and can really help. I do use some of these tactics, but now I will try to use them all. Thanks for advises on how to increase traffic on our blog. StumbleUpon is unpredictable. But I definitely found some additions to my page-view count thanks to it! Hello Guys I am rahul..
friends i am confused that how to get a fast traffic in my blog/website….. please share your feedback..
Have a look at my blog please! Thanks! Hey there! My name is Lynda, and I am a new blogger, testing the waters. I have a few posts…nothing super clever, but cleverness…I don’t have it. And that happens to be the name of my blog. Check out my blog for a quirky, awkward and hilariously fun time. I appreciate any and all views! This is a great article and an easy read! Thanks for posting it and sharing your tips. I just launched my blog a few weeks ago and have been trying to take the next steps and actually find readers! Thanks so much for the post! Found this off a pin on Pinterest and think it will help me a lot. There is a few tips here that are so simple but I have yet to think of! Thanks again! Lots of great tips. I will stick to create nice photos for my blog. Traffic is overrated! What you do with the traffic is important. Mam, could you please suggest me on how to promote my blog posts to hubpages and tumblr? Very good tips! For me the social media part is more challenging as I find it hard to channel my energy to so many outlets. I will use the tip of naming the images. Thx for a good read! Goinh to try some of these, hope they work! G’day Jennine and great hints and tips too! My blog is just a year old and I am keen and eager to continue to learn…at the moment, I struggle re SEO, and keen to learn alt tags on my photos too! So many hours, So much to learn! Love blogging and take the personal approach! I’m new to blogging check out my blog! I am still learning from your site , and always i read something good from your site. i am extremely impressed with your site. All About Zoe is a blogger who discusses health, beauty, home decor, fashion, family, life and everything in between! Recently engaged, follow my bride-to-be adventures. one thing i always find that helps is posting your web page on anything you type up. like for this comment ill add my blogs page in a link to the end of the comment. This was very helpful. Thanks for the tips! Great tips and great comments! I don’t want to sound like I’m advertising something, but I recently created a free ad network that anyone can use to advertise their website or blog. You can also find it on Indiegogo. Great post, will definetely be trying these! Greta tips! You also might apply to be part of a contributor network, e.g. BlogHer or Kitchen Daily. Wonderful work! This list was very helpful & well thought out! love the post! I didn’t know about any of the SEO on google! Great post! Just starting out and looking for ways to promote my blog about writing. Thank you for this great post! I know I had fallen into the rut of blog post, share on fb, share on twitter (once), instagram it, done… which is only going to get me so far. I appreciate the inspiration to mix it up! Very informative! 🙂 I learned a lot. Thanks for this post! SO many ideas! I am new to blogging and this seems to be one of the most intimidating parts for me. I look forward to giving some of these things a try! Good everyone with expanding your blogs! I mean, good LUCK everyone with expanding your blogs! Thank you for all of these helpful tips! I do have to admit that I use quite a lot of these tips already, but there are a few that I need to work on! I would appreciate it if you went and checked out my new blog just started it and am so excited to continue with it!! I started a fashion/beauty blog for something to do in my spare time. I don’t really use any of these tips to get followers so thanks! Unfortunately I don’t use any social media except facebook and don’t want to post by blog there for my friend to see though..
Hey Jennine Thanks for a great post and its great tips! Pinterst, Bloglovin’ and Guest posts are the best ways to drive traffic at this moment, I would say to fellow new bloggers let twitter and ‘grams built itself organically. Hope this helps. Thanks! This was very helpful, These tips are amazing! Just started my blog, would appreciate a look over and come comments made on how I can improve my blog, ‘The Trials of a Normal Life’. I find Twitter to be a great, intelligent demographic. I find Facebook to be USELESS ! UGH! Hey thanks for this post.I really learnt lot.I am just new in blogger world with application so it will really help to promote.Thanks Again.!!! I’m looking into strategies to grow my blog and I think these will help! Thanks for sharing! I get a lot of traffic to my blog when I share it on Facebook, which I assume are my (awesome) friends. Without creating a fanpage for my blog – do you have any tips on where to share/how to share on Facebook? Particularly, I feel, when talking about presenting your post in a number of different formats. The leverage you can get from posting this content in numerous places, in varying formats, is great. Plus you can learn what kinds of content work well with which kinds of audience. A great way to laser focus content to the audience you’re trying to capture with that particular post. Love this post, it’s very helpful and I’ll take all into consideration. Thank you so much for writing such great advice, it’s great to see people helping others out to such an extent. Thank you for this article. My blog is designed to motivate and inspire YOU to be the best version of yourself possible. If you are in need of a pick me up, check me out! Advice, relationships, cleaneating, fashion, and most of all, INSPIRATION to being a happy, healthier you. Thank you for this so much! I am a new blogger and these promotional tips are great for just starting out. Just added a few pages to stumbleupon now onto pinterest and twitter. Thanks for the great tips! audiowala is a music search engine where you can find your favourite song. I’ve had a blog for so long and am slow to realize I need to promote posts if I want them read. Oh well, better late then never, right? Thanks so much for the tips. Needed this. Thank you so much for this awesome help! I just started my blog at the beginning of the month (although I have been wanting to for about a year) and I am still trying to figure this all out. I didn’t think about a lot of these! Now to figure out how to add social media buttons and an email subscription option….anyways love your blog! So wonderful!! I thought it was going to me be more of the same, but I actually want to do these. 🙂 It’s definitely time for me to boost my posts. I’ll try some of those SEO tips on some of my more popular posts. That’s great information. Thank you so much, Hopefully I will be able to get more followers and readers by opting these strategies. All great tips which I’m proud to say I’ve used most of them on my blog. Thanks! Absolutely one of the most onerous challenges for any new blogger. Building your following and understanding what your community is looking for, differentiating your writing style and having fellow humans return is key! I keep reading that Facebook isn’t as good as it used to be for blogging. Twitter is easier and to the point. Pinterest focused on photos. Google+ is cleaner. So I think I’ll probably pass on the Facebook for now, for as long as I can. Thank you so much for these tips!! I am going to print these tips out and keep them on hand for me! Thank again!